What I love about Halloween is the opportunity that it presents for you to pair food in ways that you wouldn’t usually. Chocolate cupcakes and jelly eyeballs, cheesy pastry twists with capsicum fingernails, biscuits and dinosaurs… orange jelly and worms. 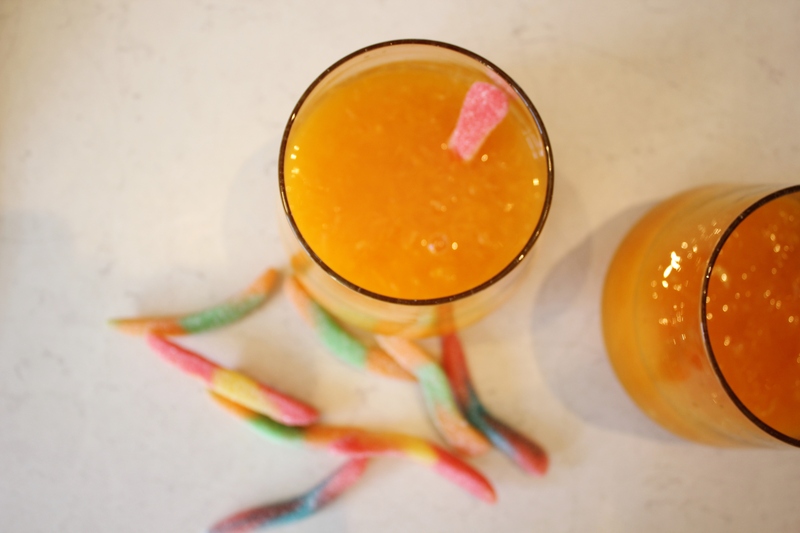 This isn’t the first time I’ve used these little squishy worms in preparation for Halloween – the ones I used in this recipe were left over from when I made worms in mud cupcakes. I figured rather than waste them, I should utilise them in some ghoulish way. So Wormy Jelly was born!